Date: 24th and 25th November 2018. Classes start at 9 am and conclude at 4 pm. 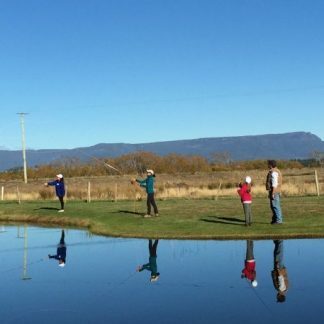 This 2 day, one evening course delivered by Peter and his team of guides that are FFF certified casting instructors covers all aspect of fly fishing. All meals, accommodation in twin share rooms and equipment is provided if required. Enjoy the camaraderie of like-minded people for a weekend. Be inspired, entertained and educated such that your future fishing success and enjoyment will be guaranteed. Detailed course notes, memory joggers and focused practice drills will add to the experience. Please note payments are non refundable for cancellations within 14 days of the event.